In Cascade 8, many actions involve use of the Chooser Panel. The Chooser Panel has slightly different options depending on what you're doing (placing an image, moving a page, linking to a PDF, etc), but the basic operation is the same. The Recent tab is a simple list of assets which you have recently interacted with, either you viewed them, edited them, or uploaded them. Simply select the asset you wish from the list by selecting the circle next to its name. If you haven't yet uploaded your asset to the system, good news: Cascade 8 allows you to do this right here. Choose Upload to add a new file from your computer. 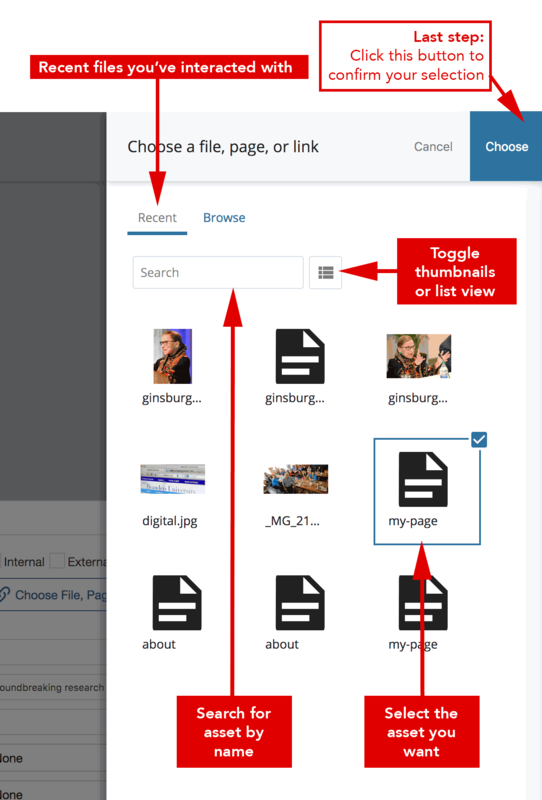 Either drag and drop a file into the chooser panel or click the choose link to select a file from your computer. The File Name is automatically generated in all lowercase characters and hyphens in place of spaces. 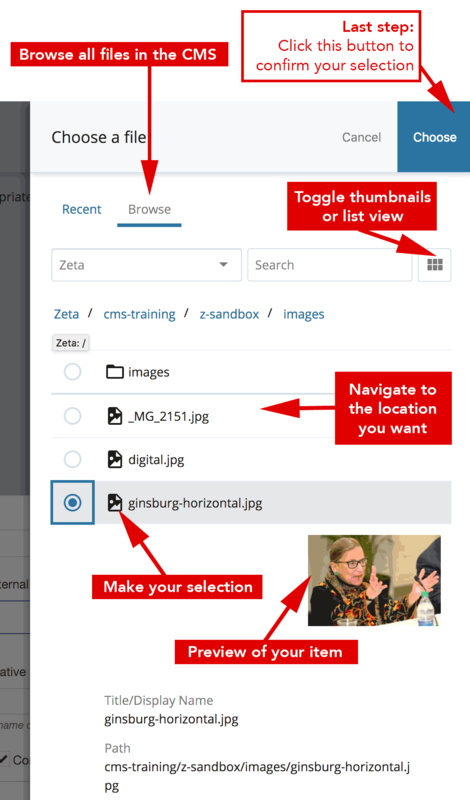 Select a Placement Folder and click the Choose button at the top to complete the process.